Hi friends! 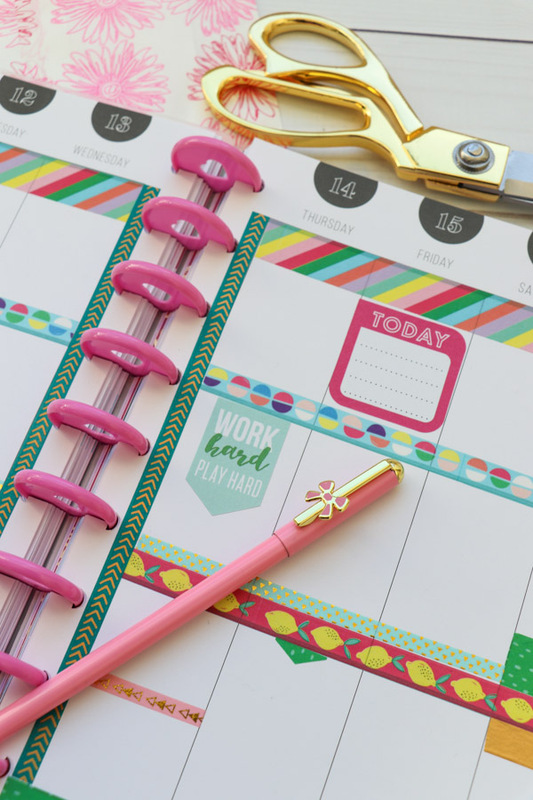 Today I’m sharing Washi Tape 2 Ways: Easy Planner Decoration Ideas that I did in my planners for March 2019. Planners? Plural? You read that right! 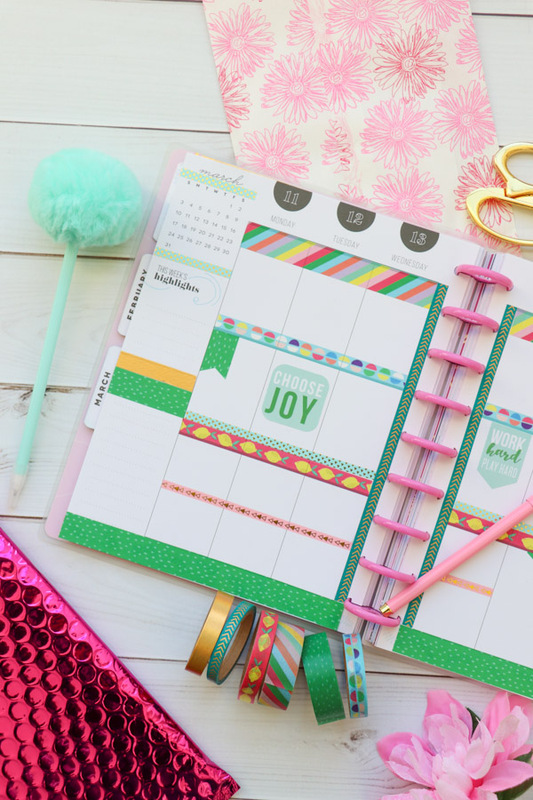 I decorated the same week using the same set of washi tape in both my Erin Condren LifePlanner and Classic Happy Planner. 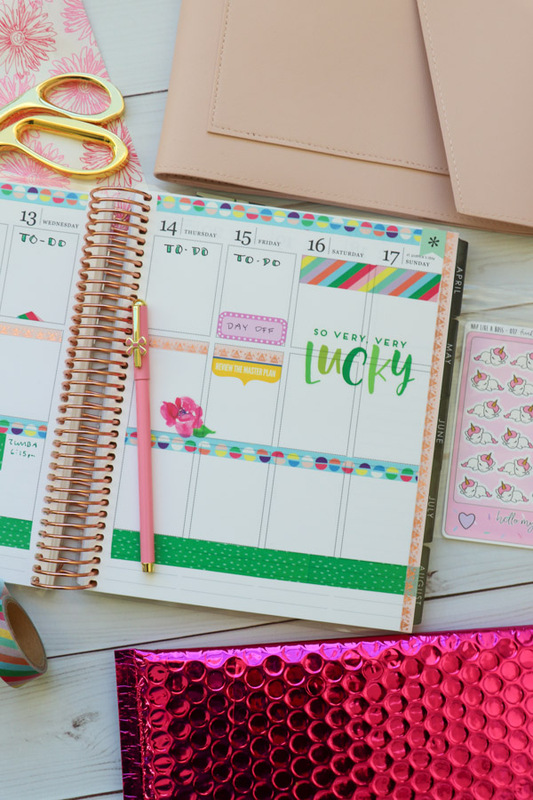 Just wanted to share some fun planner inspo for you planner lovers out there. Note: This post contains affiliate links. If you make a purchase from one of these links, I may make a small commission at no extra charge for you. Affiliate links help me create awesome free content like this post! Feel free to reach out if you have any questions. These are mostly washi tape planner decorations with a few light stickers sprinkled in. I really like this style because it leaves plenty of whitespace while still being colorful. And as much as I’d love to learn how to do brush lettering, I find the stickers are nice for overlapping columns because they can better lay over the existing lines than a marker could. Since this was the week of St. Patricks’s Day, I wanted to use bright green, but I also wanted to have the other colors there so it was an overall colorful week. It’s finally getting sunny again in San Francisco, and I think the sun was making me want this week to be super colorful in the planners. These are both before the pen. See end of post for details on supplies and planners. 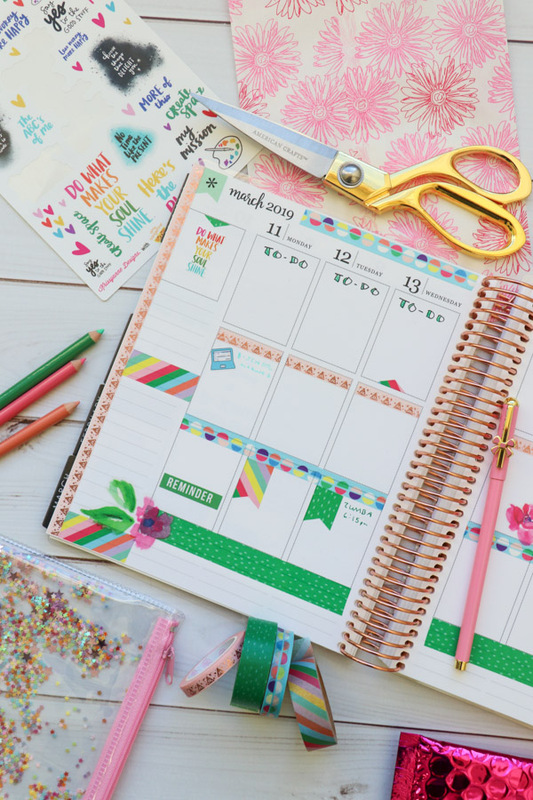 In my Erin Condren LifePlanner, I used mostly washi tape with some floral and quote stickers by the Happy Planner. The To-Do lists along the top were drawn with Micron pens and then filled in with colored pencils. See end of post for supplies used. This has been my fave layout in awhile! 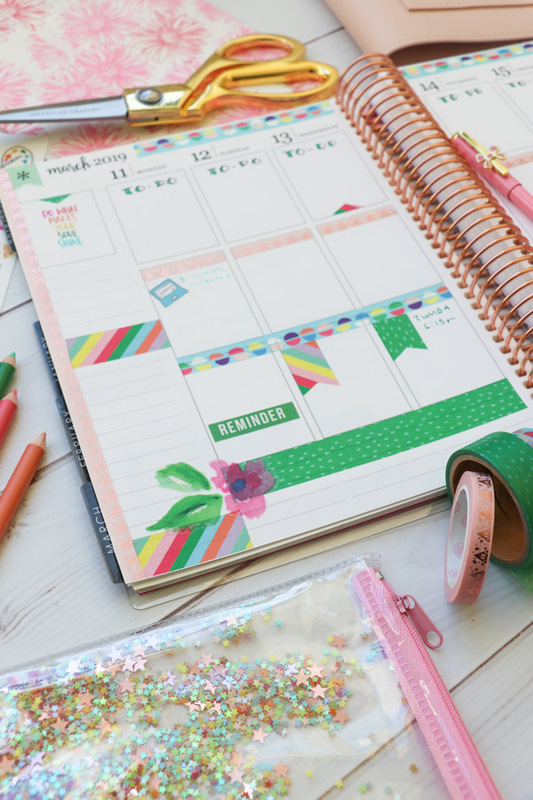 The colorful washi tape reminds me of Amy Tangerine’s colorful personality! She’s so fun! The Do What Makes Your Soul Shine sticker was from an exlusive collab with Krissyanne Designs and Amy Tangerine. 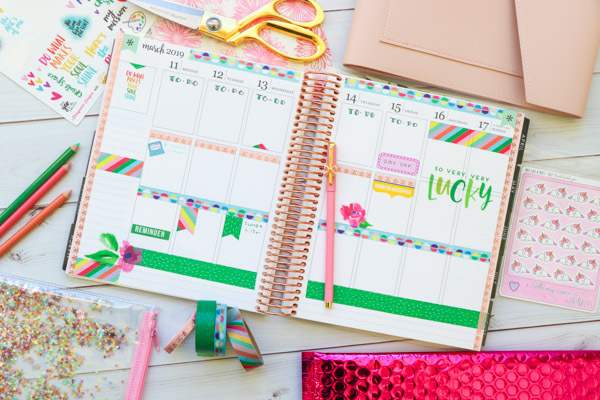 I got this along with the washi tape at Amy’s workshop at PlannerCon 2019 for making vision boards inside planners! 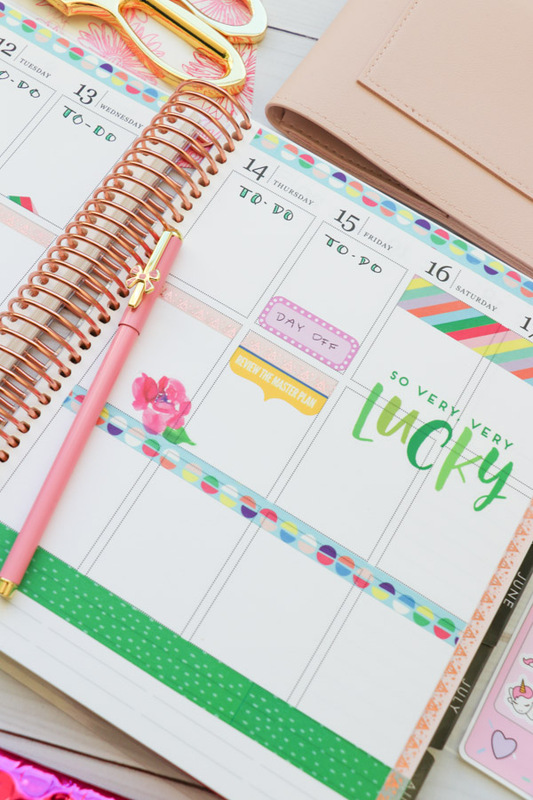 She posted her how-to on her PlannerCon 2019 vlog if you want to check it out! Some light pink Frank Hearts You washi tape was added to add some metallic accents to the spread. 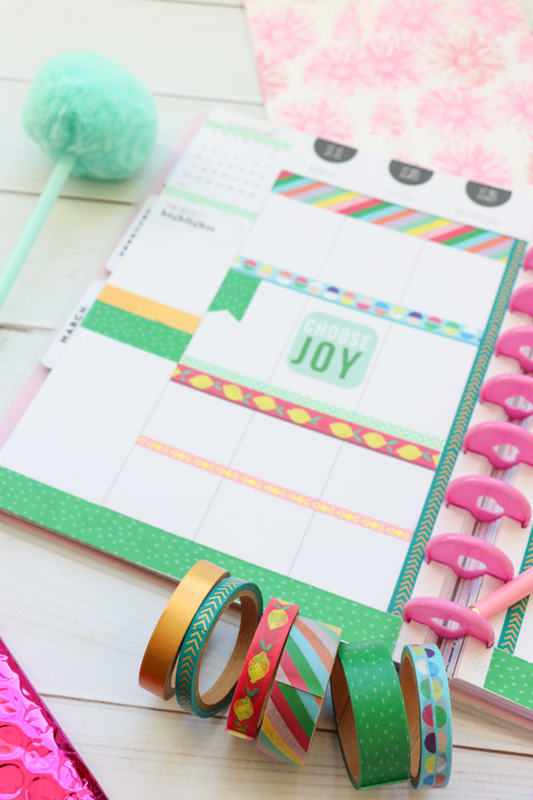 In my classic Happy Planner, I used mostly the same washi tape as I did above. But I put it down in different ways. The overall aesthetic is the same, but I like that it still looks a bit different. Instead of washi banners, I used boxes. Instead of a big script quote, I added quote boxes. 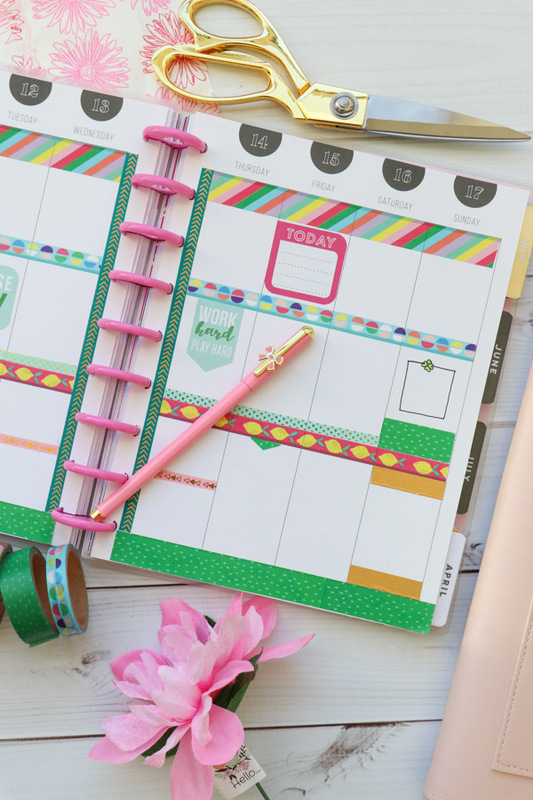 I’m finding the convenience of pulling the pages out of the planner very convenient. But I love my ECLP, so I’m glad I get to use both! 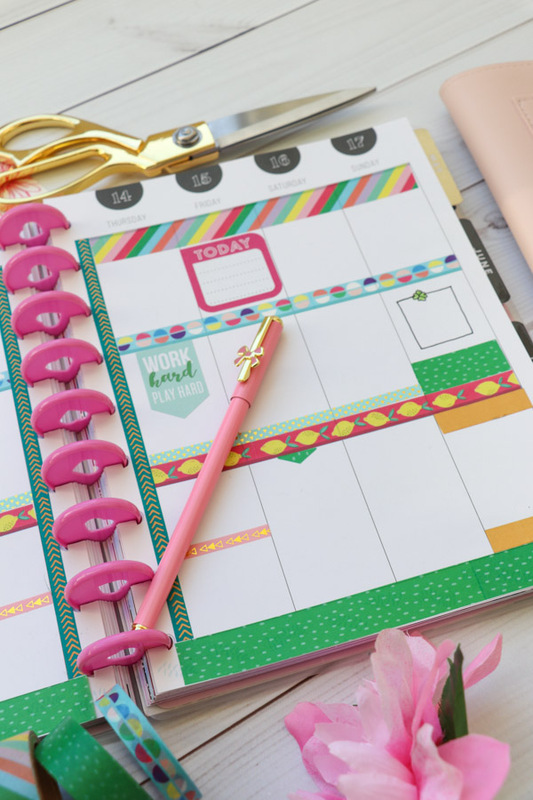 New to planning? Start here! 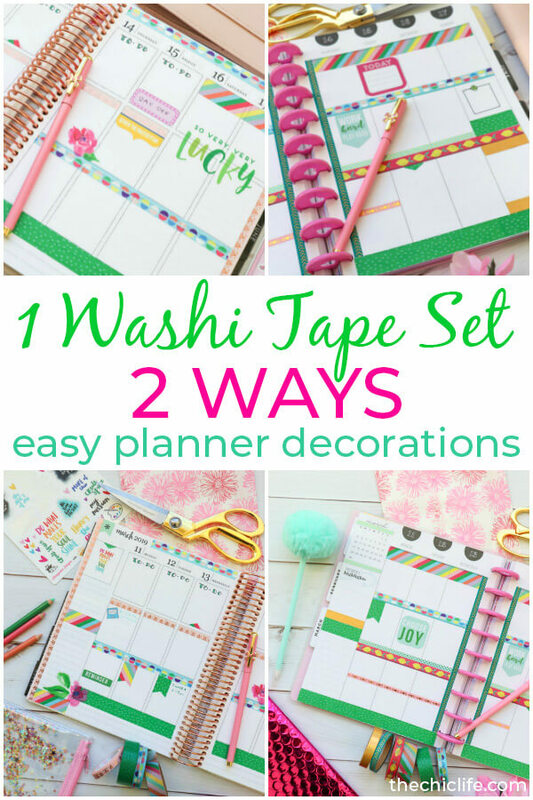 Thank you for checking out this post about Washi Tape 2 Ways: Easy Planner Decoration Ideas | March 2019. Hope you liked it!